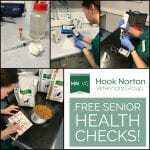 Here at HNVG we offer FREE Senior Health check-ups for our golden oldies >9years of age. 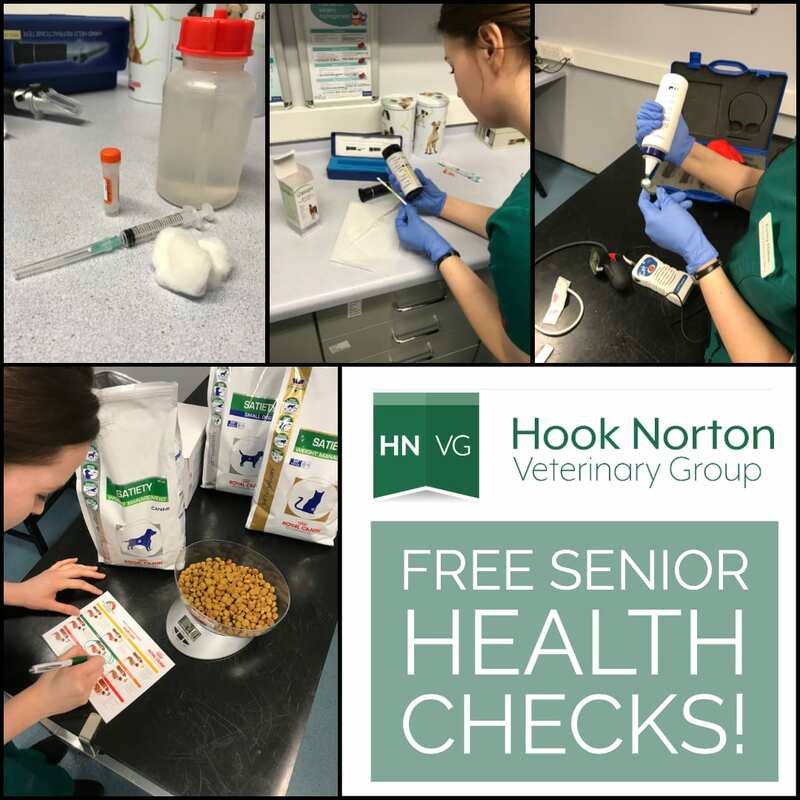 In these senior health checks a Registered Veterinary Nurse (RVN) will assess your pet and discuss any queries or concerns you may have. For cats, a free blood pressure measurement will be conducted, and dogs will receive a free urine dipstick and specific gravity (urine concentration) reading. The purpose of this is to assess the quality of kidney function and detect any early signs of renal disease which is more prevalent in older animals. Hypertension (increased blood pressure) is generally linked to a primary condition such as Kidney Disease and overactive thyroid. Specific gravity urine readings and dipsticks can help to assess whether the Kidneys are able to concentrate and remove waste products appropriately. Abnormal test results may help to identify areas of concern and indicate whether medical treatment is needed. An optional ‘senior health’ blood profile will also be offered for £14.18*. We run this test in our in-house laboratory and are able to gain results and have a Vet report them within 24-hours. The profile assesses 3 parameters, which if raised could indicate renal insufficiency. We are always hoping for normal results, but abnormal findings may demonstrate the need for further blood work and investigation. If you have any concerns about your senior pet/s, please contact the Surgery, we will be happy to help!